We invite you to join us in preparing room in our hearts for Christ. It’s the cry of our hearts to which God responds with His Son, “Emmanuel” - God is with us. Giving time and attention to the coming Light of the world can spark a tiny hope, ignite a thrill of joy and give us a glimpse of love in a time that otherwise may be exhausting, overwhelming and stressful. Hope, love, peace, joy. These words get thrown around a lot during the holiday season, but do we remember why? The Christmas story is the story of how God intervened in history through the birth of Jesus. The lives of Mary, Joseph, and the shepherds were utterly changed by this event. They found hope, love, peace, and joy; let's remember together how, through Jesus, we can find these too. For centuries, Christians around the world have used the four weeks leading up to Christmas to prepare themselves for the celebration of Jesus’ birth. It’s a time when we observe his first coming while we also look forward to his second coming. This 4-day plan will focus on hope, peace, joy, and love. In this series, we read and reflect on 14 names of Jesus – various titles he is given, and ways he his described. See from both Old Testament prophecy, and the Gospel accounts of his life, just who Jesus is through his names. Be encouraged as we approach the celebration of Jesus’ birth by reflecting on who he is – the marvellous complexity and depth of Jesus’ purpose and his character. Prepare yourself to celebrate the real reason for the season—Jesus! 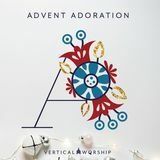 Enjoy 5 Advent devotions to start the month of December off right. These short, engaging reflections focused on hope, combined with the beauty and relevance of The Passion Translation—a fresh, faithful translation of the Bible—provide the inspiration you need to celebrate the true reason for the season. 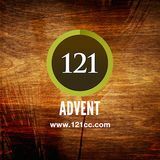 Advent is a time to reflect on the first coming of Christ and his second coming. During this week, readers will reflect on their present lives in light of both comings, what has already been accomplished for them in Christ and what has not-yet been fully completed. Living in that already-not-yet tension is key to understanding the Christian life. 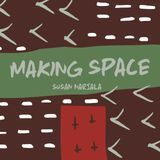 Readers will discover and reflect on how they should live in this already-not-yet tension. Christmas is truly the greatest story ever told: one of God’s perfect faithfulness, power, salvation, and unfailing love. 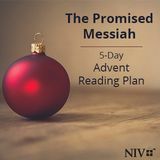 Let’s take a journey over the next 25 days to discover God’s intricate plan to save the world from sin and the promises fulfilled in the birth of His Son. Have you ever wondered if God really loves you and uses your life? Advent is the perfect time to see how God wants to capture our hearts by His love. Explore the season through the eyes of someone on a journey to find meaning beyond the traditional Christmas story we all know. 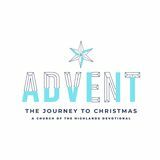 This devotional brings a unique approach to December as we consider 25 ways God “wows” us with Jesus. Let's face it - the season of Advent, the final four weeks leading up to Christmas Day - is oftentimes the busiest, most stressful time of the year for women. But this is not at all what God intended. The Lord intended for these weeks of joy, love, hope, and peace to bring just those beautiful things to the hearts of women everywhere. Rediscover that reality through this 5 day reading plan. As the Christmas season begins, we usually find ourselves more stretched for time than the rest of the year. We get caught up in the frenzy – and forget to focus on what’s truly important. This devotional will help you clear the clutter so you can make more room for Christ this Christmas. The most important thing that we can prepare for Christmas is our heart. This video series will help you prepare for Jesus' coming. The Christmas season is a powerful and unique time of year to remember that Jesus came to make a way for us to be near God. In his life, death, and resurrection, Jesus built a bridge between us and God allowing us to have continual, unhindered communion with our Creator. May we choose to open our hearts to the living God that we might experience fullness of joy in his presence. Give a gift to yourself this Christmas. 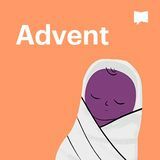 With our eyes turned to Christmas, it’s easy to overlook the days leading up to it: Advent. That’s why Dr. Ed Young developed The Gift devotional series. This series helps you… • Better understand what Christ’s birth means • Experience true peace • Give God the only gift He wants: you! The Gift may be the best gift you could give yourself this Christmas. Sign up for it today! During the Advent season, it’s easy to become bogged down with the busyness of Christmas without stopping to reflect upon The Reason for it. This Advent, let’s pause to focus on our Savior. With a four-day plan from Loop via Gather Ministries, allow Jesus to reveal new truths about His birth & His daily presence with us. Good Morning Girls is an online community of women which exists to inspire, encourage and equip women all over the world to get into God’s Word on a daily basis. Each day you can join our online community by participating in our Monday-Wednesday-Friday corresponding blog posts at lovegodgreatly.com. We invite you to join other women from around the world on Facebook: Love God Greatly, Instagram and Twitter by using the #LoveGodGreatly and share your daily insights with us. Gain a better understand of God's love for you this Christmas season with devotions centered around Jesus, the promised Messiah. 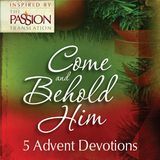 These five readings from The Jesus Bible, NIV Edition will prepare you for Christmas, a season filled with the joy, hope, and love of the eternal promise of Jesus the Messiah. Advent is, of course, a time to prepare. To prepare our homes, lives, and our hearts. Join us as we explore the Bible readings used by the Church to challenge, encourage, and help us prepare, not only to celebrate the incarnation but also the second coming of Christ. Advent is simply a season of expectant waiting and preparation. 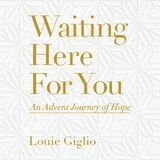 Join pastor and author Louie Giglio on an Advent journey to discover that waiting is not wasting when you're waiting on the Lord. Take hold of the chance to uncover the vast hope offered through the journey of Advent. In the next seven days you'll find peace and encouragement for your soul as anticipation leads toward celebration! For the next 25 days, join us in the reading plan as we put on the light, one candle at a time. To remind ourselves to take off those things that we do not need and wrap ourselves in what is coming: the Light of the World. It is the season of Advent, a time of wonder and anticipation, a time to ponder the miracle and mystery of Christ’s birth! 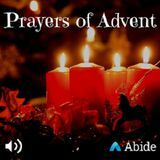 Seven daily readings for the month of December from Come, Let Us Adore Him: A Daily Advent Devotional by best-selling author Paul David Tripp will help you slow down, prepare your heart, and focus on what matters most: adoring our Savior, Jesus. 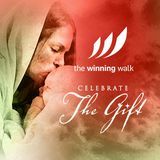 As you enter the Christmas season, this devotional will help you understand more about the depth of God's love and the incredible gift that He has given us. These five reading passages will prepare your heart for a season that is filled with hope, love and promise, and you will learn about how the humble arrival of Jesus will lead to His triumphant return. Advent comes from the Latin adventus , meaning “arrival, approach.” During this season leading up to Christmas, we reflect on the longing of God’s people for the Messiah, which was fulfilled in the arrival of Jesus—God made flesh, Light from Light, wrapped in swaddling clothes and laid in a manger. Advent has another purpose, too: drawing our spiritual gaze toward the future when, as we affirm in the Nicene Creed, Jesus “will come again in glory to judge the living and the dead, and his kingdom will have no end.” This resource will guide you through both aspects of Advent reflection. The birth of Christ, His advent, marks God's ultimate plan for our redemption. In Christ, we see the fullest picture of God's hope, peace, joy and love. God's Word is the truth by which we know and walk with Him daily. It is our hope that this guide will encourage and facilitate personal time spent in the Word and provide a resource for families with children to do that together. There are many hymns that express the wonderful promises that surround our Savior's birth. These devotions are based on several of those hymns.